People are constantly looking for new games to play. They're playing hand-held, mobile, desktop, and many other video games. Users will often pick up a game they find interesting, but rarely will they interact with the game as much as they would with a Virtual Reality game. 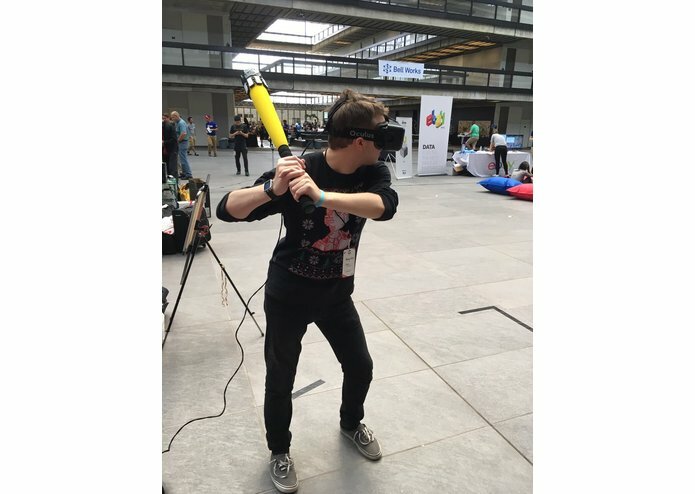 We made Project-Sluggers to provide people an opportunity to play a game with a unique and unforgettable experience. We provide a full system to provide a full-out baseball game experience. The first part of our system is using multiple Oculus DK2's to provide a view in the prespective of a Batter, Pitcher, and Umpire. The Umpire first provides a number (detected from leap motion) to the Pitcher: #1 is to throw a normal throw and #2 is to throw a fastball. Then the Pitcher throws a baseball after throw gesture is detected from the Leap Motion attached to the DK2. Lastly the Batter's view recognizes that a ball was thrown; thus, making the Batter react to the thrown and swing (a bat with a Myo attached) according to where the ball is. The second portion is handling all the data and syncing the views together. We sync the views together through a Firebase DLL and a C# update function. 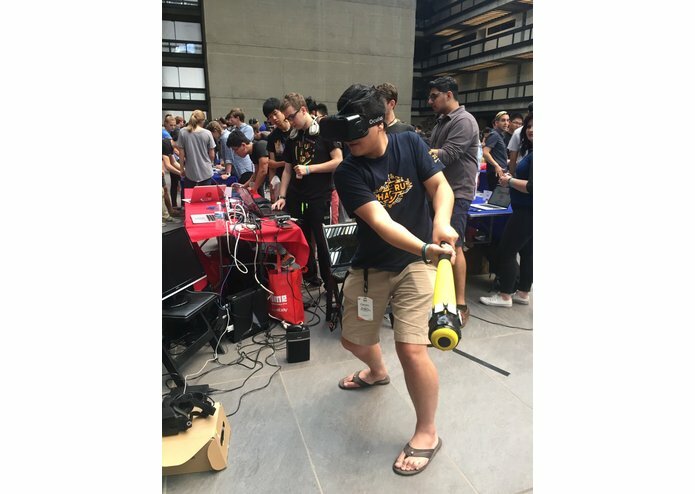 After the ball is hit, we use Express and Twilio Sync to manage the bat rotation, throw type (normal or fastball), and a calculation of the highest score. The game has two parts: the virtual reality game and a server to handle data. The game leverages multiple C# libraries and Unity applied physics to allow for where the ball goes and where the bat located in the 3D space. Once the entire cycle of a single hit is complete, the information is transferred via a Post Request to the server with the location of the bat, highscore, and type of throw. We iterate a sync using Twilio Sync before we tweet all the information to Twitter. The tweet gives you a readable-length summary of the useful information collected during the baseball game. Using sync was something we had to get creative with. Since they do not support Native Unity yet, we found a work around and told Unity to post to the server and let the JS server handle Twilio Sync. Another Challenge was setting up our windows computer to become compatible with the entire project (aka installing java, unity, Visual Studio, and a couple of other things). The last thing was spotty internet. However it all came together at the end and we came to present our great product. We were excited when we knew that we had a cohesive entire system, from the video game to a live Twilio Sync'd Twitter Bot. We were also proud of creating something we will actually use and provide entertainment to others (we gave ourself entertainment, and hopefully others' too). Some of our team learned how to program Leap Motion. While others learned how to set up an environment for a completely new instance of Windows. We also learned that this entire project was really fun and we work great together. We want to implement an Amazon button to the unity game that will allow us to customize our bat or character or even outfit! With more time, we can provide users with even more of an in-depth Virtually Reality experience - persisting their understandings of VR in game development. We also want to provide users more robust experience that will really get them off their fee. 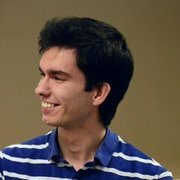 I worked on the backend of the application and connecting it with Twilio, Bose, and Twitter. Along with that I worked with Syncing all of our Clients' information using Twitter Sync. I worked on the integration of Leap motion with Unity and helped setup two Oculus Rifts / Aliewares for our demo. 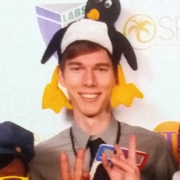 I worked on finger/palm gesture detection and Unity/Rift troubleshooting.